Agnes Florko is a mixed media artist based in the UK and working from Gatehouse Arts Studios in Essex. She holds a degree in Art achieved at IDI, University of Hertfordshire. Her experience as a trained Social Worker, preceded by master’s degree in Sociology and Social Science have all been contributing factors towards her shaping as an artist over the years. 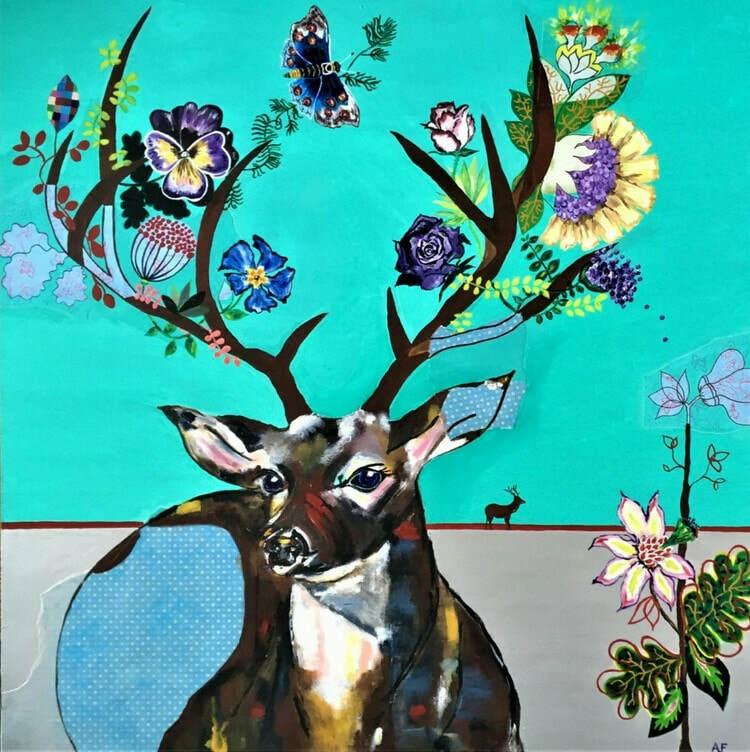 Agnes’s work is largely dominated by the use of vibrant, dynamic colours contrasting with flat areas of pattern, inspired by natural world, motifs of flora and fauna and Polish folk art. Her method merges great detail achieved with acrylic painting and elements of collage, layering old pieces of wallpaper, magazines on canvas over and under the acrylics. She creates enchanting, surreal dreamscapes with lively animals in which world of nature and fantasy intertwine. Her work is exhibited nationally and internationally and held in private collections.